Get the operator name for specific phone number. 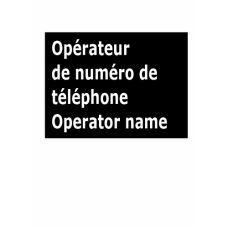 -The Information is to be taken with caution as a result of number portability, it is possible that either now another operator that manages the number. -Please Note also that the IP telephony numbers can be used by people physically into another country.